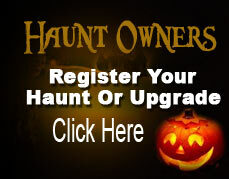 Those who enter Wicked Ways Haunted House do not leave the same person. Wicked Ways is the largest, most disturbing indoor Haunt in the Memphis area. Zombie bus drivers, Undead Infested Sewer System - this is just a fraction of your nightmare. Will you make it out alive? The Largest and Most Disturbing Indoor Haunted House in Memphis is back for 2018!! Bringing “ALL NEW” over the top action and ghastly butchery that won’t be believed. For 2018 you will experience The ALL NEW MASSIVE Underground Military Bio-hazard Research Laboratories. Try your hand at the Terrifying Army Zombie Containment Base where you must fight through Overgrown Man Eating Vegetation and Hoards of Zombies down every hallway of this Infested Military Containment Base. If you are lucky enough to make it through The Terrifying Army Zombie Containment Base and The Underground Military Bio-Hazard Research Laboratories then you will be Escaping into the ALL NEW Gruesome Subterranean Sewer System. This Mammoth Labyrinth of Underground Tunnels filled with the Escaped Military Research Laboratory Infected Victims have turned into something you don’t want to cross. A MASSIVE amount of Mutants deep within every Tunnel. Will you choose the correct Tunnel to Escape or will the Infected MUTANTS end your tour early. If you survive the Gruesome Subterranean Sewer System you will end up at the ALL NEW Disturbing Old House. If you are brave enough to take a stroll through the Remote Backwood Swamps and encounter a lost in time family with the only means of food are strangers passing through their Crazy Home. Lastly, IF you can make it through the Agonizing Threatening Torture Chamber or the Bizarre Twisted Tunnel, then you deserve a pat on the back. Adults $22, Children Under 12 $14, Groups of 10 & more each individual ticket in that group will be $16. Ticket sales not available online this year. We have no age restrictions, however, Wicked Ways Haunted House may be too intense for children under 10. Parents, please use your discretion. Located by Wiseacre Brewery and Broadway Pizza within the New Arts District on Broad St.